Atlantis: one of the great legends. Somewhere, beyond the edge of the world, a great empire grew decadent and fell, sinking forever beneath the waves. The Lost Land; the Sunken City; the Ancient Birthplace of Secrets. It has haunted our dreams since the days of Ancient Greece. In some of those dreams, the Lost Land is still out there. 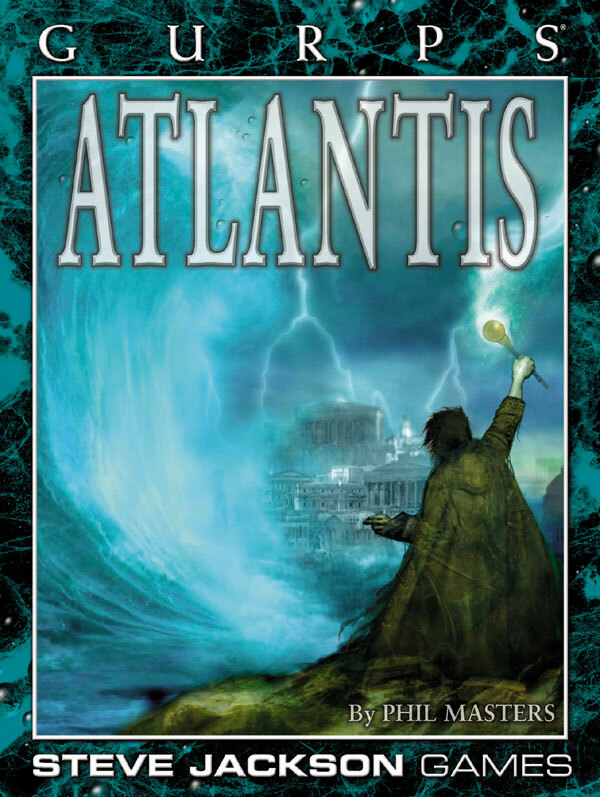 GURPS Atlantis is a gamer's guide to the story, the history, and the myth. From Greek philosophy to superhero comics, from fantasies of prehistory to the depths of the sea, it's all here. This book includes details of legends of other sunken lands, rules for underwater operations, details of a wide range of submarines, and no less than three campaign background – one high fantasy, one conspiratorial, and one for steampunk or superhero goes. metallic foil lettering on the front cover and spine. There are only 100 of these top quality books available as single volumes, exclusively from Warehouse 23.